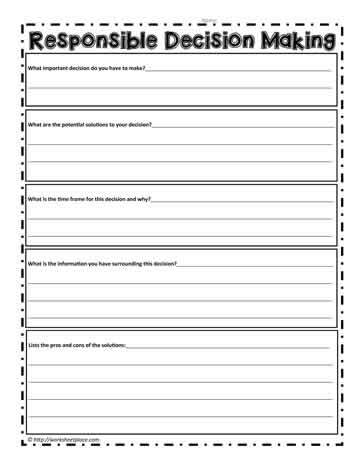 A worksheet for making responsible decisions. Great for use in social emotional learning and with students of all ages. Learn how to make responsible decisions.